ASBESTOBOND is based on a micro-particle acrylic emulsion incorporating high loadings of fungicides and algicides dispersed with inert pigment compounds. The light and heat reflective pigment system assists the fungicides and algaecides to control mould growth, also assists in internal temperature reduction..
A protective peelable coating used on glass and other substrates for protection. Peels off after its short term use. PLIOXY is based on a resilient, tough, hard with flexible attributes pure acrylic waterborne resin with adhesion promoters, incorporating a specialized chemically inert filler system with crosslinking properties. The combined properties make an excellent resilient membrane coating. PLIOXY is supplied in colour of choice. PLIOXY is suitable for application to concrete, steel, aluminium, bricks, timber, bitumen and in many cases several plastics. 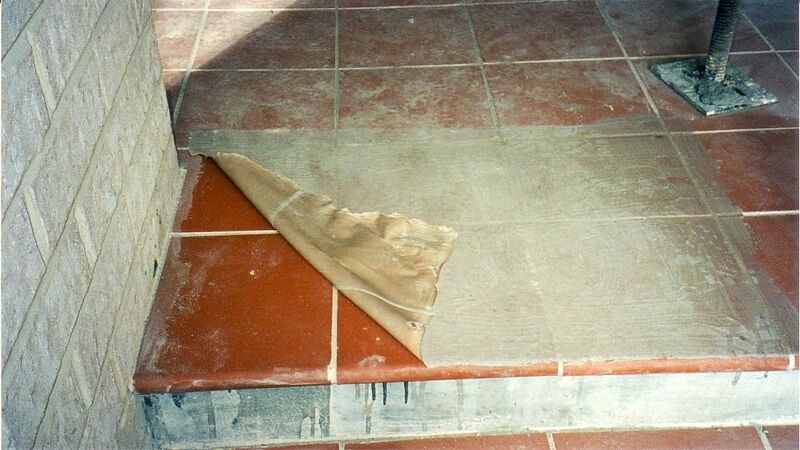 PLOXY is used with sealer in most cases. PLIOXY has very good resistance to chemicals and mineral oils. PLIOXY is a “membrane” coating which has a degree of flexibility with toughness. PLIOXY can be used with chopped strand 225gm/m2 fibreglass or low weight woven roving fiberglass. The composite of fiberglass/PLIOXY has flexibility and memory resorting back to its original shape if bent from its original shape or contour.If a moulded product is damaged, it is easily repaired for further use as it does not crack or split like conventional fibreglass/resin. As the waterproof membrane, part of the surface coating system for concrete﻿ roofs, walls and floors, ATTAFLEX WATERPROOF MEMBRANE is trafficable to pedestrian or light vehicle traffic . ATTAFLEX can be applied to concrete, steel, bricks, timber and bitumen. FLEXI-DECK is a water based acrylic membrane coating containing rubber crumb to produce a anti slip surface. It is a high build, extremely tough, environmentally friendly, acrylic coating, designed for use in the marine and construction industries. CORROPEL is an anticorrosive primer based on hard acrylic resins. It also contains leafing compounds and protective, neutral fillers to enhance rust prevention. CORROPEL has exceptional adhesion and decreases noise and sound when applied to metal sheeting. This product exhibits excellent resistance to oils, environmental abrasion, water, dilute alkali and acids. A coloured resin emulsion which is mixed with cement before use. Applied as an undercoating for driveways or pathways on concrete. Seal with coloured XPO Finish or Ultraseal.